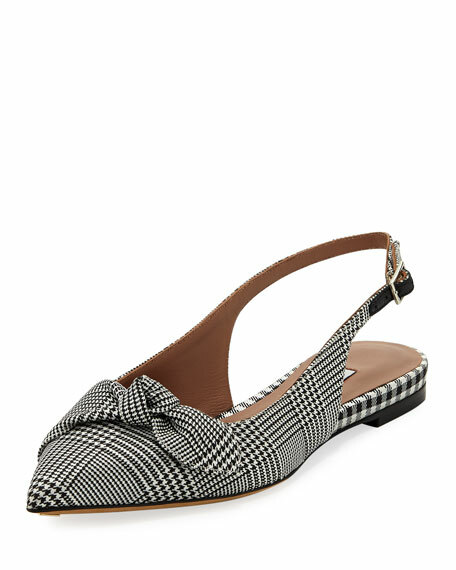 Tabitha Simmons "Knotty" flat in houndstooth and gingham fabric. 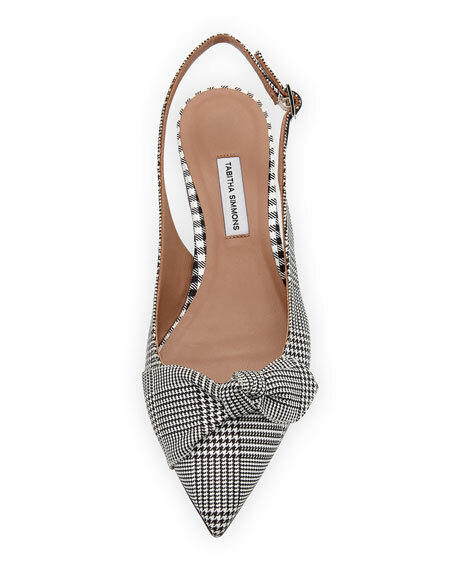 Pointed toe with knotted bow. 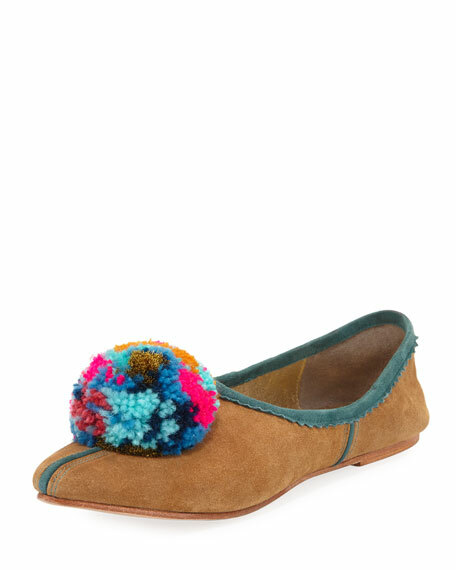 For in-store inquiries, use sku #2516957. 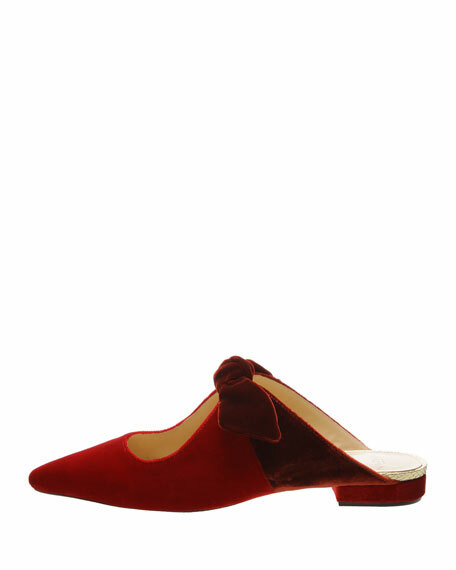 Aquazzura "Belgravia" mule flat in soft kid suede. Flat, metallic-covered heel. 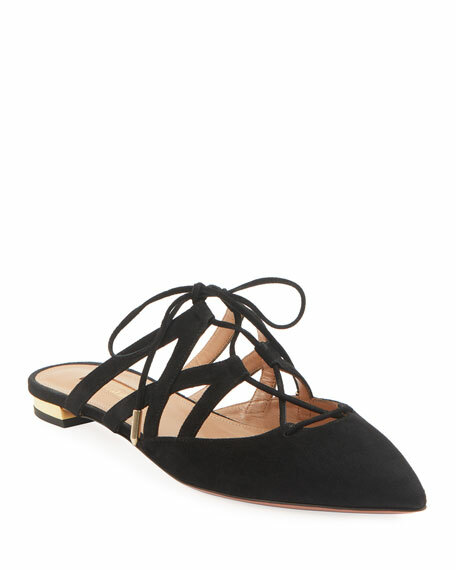 Strappy lace-up upper. Pointed toe. Leather lining and sole. Slide style. Made in Italy. Exclusively ours. 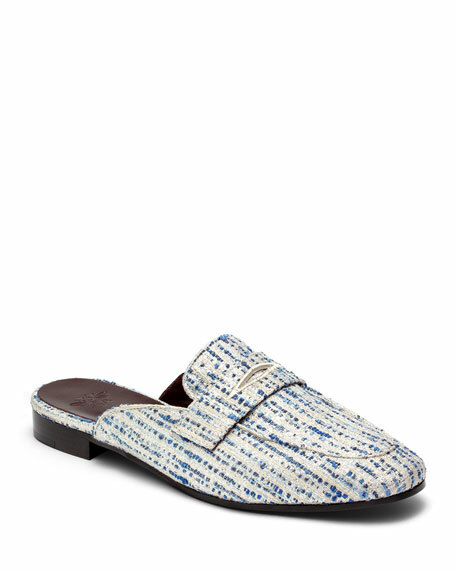 Bougeotte textured tweed mules. 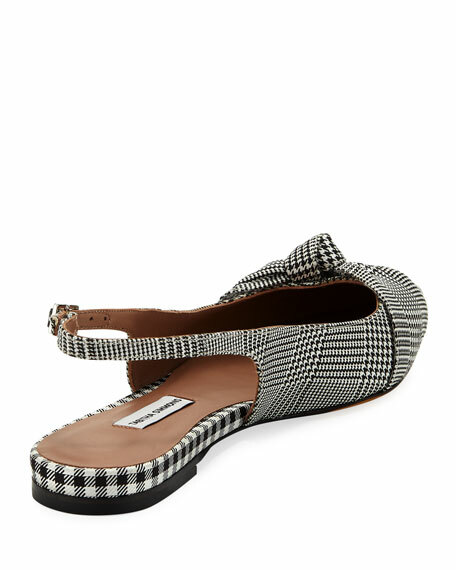 0.5" flat heel. Round apron toe. Keeper strap at notched vamp. Metallic bee detail at back. Leather lining. Made in Italy.